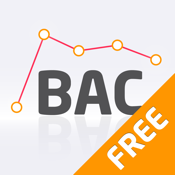 Interactive BAC calculator. See when you can drive again. The Free version. 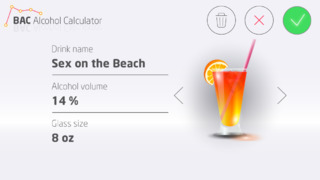 The BAC Alcohol Calculator allows you to edit your favorite beverages, so you can customize it to meet your own particular consumption. Do you like beer, distilled beverages or mixed drinks? Are you male or female? Calculate the current blood alcohol content and the time when you reach zero. Residual alcohol is often underestimated. Why take the risk? The app is designed for entertainment purposes only and the calculation should not be used to determine whether person is able to drive. Do not rely entirely on the outcome of the calculation.